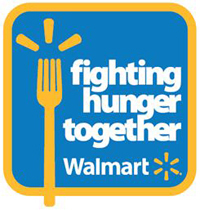 Walmart recently launched its Fighting Hunger Together campaign, a chance for you to select a community to receive $1 million and 20 runner-up communities to receive $50,000 to fight hunger. As one of Walmart’s partners, the Freestore Foodbank could receive a portion of those funds. Support the Freestore Foodbank by voting for the “Cincinnati-Middletown, OH area” on the Fighting Hunger Together Facebook page. You can vote daily through April 30. To vote…Click here.